For those who are just getting into audio or are not familiar with Sennheiser (you should be! ), the HD800S are their flagship open back headphone that sit below their unobtainable Orpheus but above the vast majority of other headphones on the market. With an RRP of over $2500 AUD, they are very much a statement product, one that disregards all notions of value in favour of pure performance and excess. But for those more familiar with audio, this review will be somewhat ironic; the Sennheiser HD800S needs no introduction nor do they really need another review, they are universally acclaimed (as they should be at this price). As someone who has never really owned a dedicated home headphone, I suppose you can take this as a more average listener’s subjective impressions of the audiophile lifestyle rather than a critical article; that is to say, what can the HD800S, a $2500 headphone, do for the average listener? While the Alessandro MS1’s that I recently reviewed mark the beginning of one’s entry into the audiophile lifestyle, the HD800S for many marks the end. Let’s see how the HD800S fairs in daily usage as an at-home headphone and whether they hold a notable performance advantage over other headphones in a similar class. I would like to thank Sennheiser very much for providing me with a review unit of the HD800S and White Lotus for organising the Australian review tour. There is no monetary incentive for a positive review and I will be as objective as possible in my evaluation of the HD800S. The un-boxing is as sumptuous and extravagant as the price tag would suggest. The outer packaging is dark and subdued with low key renders of the headphones and the Sennheiser logo snaking along the bottom. The Hi-Resolution logo adorns the front denoting the headphone’s audio prowess, and I can assure you that it is very much deserved. But within the cardboard exterior lies the true unboxing experience, a hard treasure chest like box that hinges open to reveal the headphones nested within a sea of dark velvet. A soft pouch contains the 1/4inch cable and just below sits the balanced 4-pin XLR cable underneath some protective foam. Both cables are 3M in length and feature a strong braid with fabric sheathing on top. But apart from the cables, Sennheiser don’t include any other accessories. While it would be great to see some more inclusions, maybe a third shorter cable for desk usage, being a home headphone, the HD800S doesn’t really require a travel case and everything that is included feels built to last. The HD800S have a very distinct look and feature a darker colour scheme than the original HD800 which looks befittingly subdued and premium, I definitely prefer the darker tones of grey to the silver HD800. The open-back design showcases the very space age looking drivers and the fabric interior similarly impresses with embossed Senheisser logos. The subtly ridged silver accents really complement the grey frame and the matte finish doesn’t mark up nearly as much as other matte finished headphones I’ve owned. The HD800S also isn’t particularly prone to oil marks and scuffing which is surprising given the finish of choice. The HD800S have a level of design and finish that I haven’t seen on many, if any other headphones including those from Fostex and Oppo. Whilst they don’t quite match the feel of the wooden Fostex headphones and the fully metal Oppo’s, they are far more practical and comfortable in daily usage. They are also built to incredibly tight tolerances; everything from the headband adjustment slider to the spring loaded hangers just glide with perfect friction and tension. It’s hard to put it into words, but the build, while mostly a light polymer (doesn’t feel like plastic but is just as lightweight), is incredible; there’s not a creak nor feeling of hollowness despite the weight and construction of the headphone. In fact, the main points of contact and structure on the HD800S are actually a layered metal, the HD800S simply embody precision German engineering. They are also surprisingly simple in construction despite their more space age looks. Notably, the HD800S is very light (330g), especially considering the size of the headphone. As a result, the HD800’s are extremely comfortable even after long listening sessions for which they were intended. Part of this comfort stems from the wide, soft headband which is well shaped to make maximum contact with the top of your head, dispersing the weight force evenly to prevent hot spots. The headband also has a small notch in the centre which allows the headphones to rest on a stand/hangar without indents forming in the padding. It also helps to centre the headphones when placing them on the stand. I didn’t notice the indent during wearing, it did not affect the comfort at all. The same impressions extend to the similarly finished microfiber earpads. Whilst headphones with more padded earpads do have a more immediate impression of comfort, they also get hotter over time and can feel somewhat clammy. The flatter but thicker earpads on the HD800 did feel a little strange when first changing over from the more snug portable headphones I’m used to, but perfectly considered clamp force in addition to the spring loaded hangers create a very comfortable fitment; they are more comfortable than my Sony MDR-1A’s but also don’t feel nearly as hot over time. It should be noted that while these are home headphones, they have quite a stable fit on the head due to the large surface area of the pads and headband. Clamp force isn’t light but is on the lighter side and the HD800S will stay put when reclining in a chair or generally walking about, but lying down and more vigorous activities will cause them to shift, as expected. In addition, the earcups are absolutely huge, easily enveloping even the largest of ears. Mine don’t contact any part of the headphone’s inner surface which works wonders after a lengthy listening session. The included cables are very long at 3M, but are well suited towards home use, they give you some slack to move about and recline. It’s dual entry, attaching to both earcups via two proprietary keyed connectors. The connectors are all metal with gold plated terminals, they feel very solid and snug when inserted. I didn’t notice any intermittency during my testing so I can affirm that Sennheiser’s choice of connector is sound. Strain relief is excellent with long tapered rubber that is firm but still flexible enough to absorb lateral displacement stresses. The bulk of the cable is a thick fabric/kevlar sheathed design with a more conventional rubber cable above the Y-split. The cable is internally braided all the way through and remains about as supple as it could be considering its thickness. The cable terminates in a usual 1/4inch plug or XLR connector should you have a balanced source. Whichever cable you choose, the terminations is equally fortified as the cable itself and has almost excessive strain relief. I doubt the cable will run into any longevity issues at all but as far as usability goes, even for home usage, I find it somewhat cumbersome and the use of a proprietary connector does limit aftermarket options. While the HD800S is an open back headphone, they are not open to the extent of Grado headphones due to smaller rear vents. As a result, they also don’t leak as much sound and provide just a hint of extra isolation which helps maintain a coherent low-end response. The Oppo PM1’s by contrast leak slightly more and also isolate just slightly less, which does make that last bit of difference as even the confines of our homes are not perfectly silent. The open back design in addition to the microfiber earpads enable long-term comfort without heating the ears. The clamp force is noticeably constant throughout its range, usually headphones clamp stronger the further they are bent out, but the Sennheisers comfortably accommodate larger head sizes. So as you can see, the amount of thought that went into this design is simply phenomenal. Sennheiser went to extra lengths to ensure that the headphones would not only fit the vast majority of listeners, but also fit them with comfort and ergonomics (as seen by the earcups, headband tension and spring loaded hangers). Fit and finish is spot on and comfort is almost perfect, I’m glad Sennheiser stuck to their tried and tested design because it simply works exceptionally well. At this price you could find a really nice set of planar magnetics or even electrostatic headphones; both technologies that boast several inherent benefits over the traditional dynamic driver. So why is the HD800S, a headphones which uses a traditional 56mm dynamic driver, actually more expensive than headphones such as the Oppo PM1? Well, part of that comes down to the quality of the driver itself, even if it is more physically limited than a planar or electrostatic design, in addition to the meticulously thought out structures that surround it and allow its capabilities to shine. With the HD800S, much like the ie800, Sennheiser have implemented various technologies such as a Helmholtz resonator to dampen the 6KHz spike experienced within the ear canal that can mask higher frequency detail. While the effect isn’t quite pronounced as with the ie800, perhaps due to in-ears being especially prone to this phenomena, the HD800S does still have an incredibly resolving sound which reveals a similar amount of detail without fatigue. In fact, due to their vastly superior instrument separation, details retrieved by the HD800S are easier to discern even without being particularly forward, a very interesting characteristic. Ultimately, Sennheiser are masters of the dynamic driver and it was definitely a good idea on their part to stick with a technology they can draw absolute potential from. The HD800S is, to my ears, no less impressive than any of the planar magnetic headphones I’ve heard (though I haven’t heard any electro-static headphones yet). Tonally the HD800S is quite balanced if not perfectly neutral; bass is a little punchier, the midrange is slightly brighter and the high end has an extra hint of crispness over more balanced headphones such as the Oppo PM3. But that’s not much of a surprise, good sounding headphones are always relatively balanced, rather it’s the way the HD800S retains Sennheiser’s house sound whilst also maintaining balance that sets them apart from other headphones that sound flatter but less engaging or more coloured but perhaps overly so, limiting versatility. Like the ie800, the HD800 pursues a slightly bright sound that emphasises clarity but retains a full-bodied low end that still never sounds even slightly muddy or boomy. Sub-bass sits behind the mid-bass but has surprising authority when called for, mid bass has slight emphasis and upper bass is similarly quite neutral. Mids are quite even for the most part, more so than the ie800 for sure, they are less bright and lower mids have more presence. Treble is interesting, it’s very crisp and very clean but not as emphasised as the ie800 or HD800 that came before it. I hear quite an organic, natural but resolving treble response that never encroaches upon fatigue or any semblance of harshness. The HD800S is slightly brighter than neutral overall but due to their very linear sculpting, I still wouldn’t consider them a bright headphone, especially with Grado and Alessandro headphones out there. At 300 ohms, the HD800S is not easy to drive but is still more efficient than most of the planar magnetic headphones on the market. For instance, my HTC 10 will drive them to adequate volumes, if barely (and I’m a low volume listener). Of course, quality does suffer considerably from a smartphone, even a very good one, as opposed to a dedicated source, but anyone with enough economic bandwidth to invest $2500 in a set of headphones will no doubt have the budget to purchase a dedicated amplifier of some sort. For instance, my Oppo HA-2, an accomplished portable amplifier but one that doesn’t nearly meet the power output of a dedicated home amplifier, provides plenty of power to the HD800S with enough volume on high gain to become almost unbearable to me (I use around 2/5 on high gain, source at maximum volume). The HD800S also sounds much more dynamic, extended in either direction and the soundstage expands considerably when running out of the Oppo. I have no doubt that the HD800S will scale incredibly well with an even better source, but for now, this is best I can provide. That being said, even from my HTC, the headphones sound outstanding, it just goes to show that the headphones are fully equipped to take advantage of whatever you throw at them. Those with a good source will have a great time with these headphones and those with an even better source will have an even better experience. Bass is not particularly accentuated, which is a surprise coming from Sennheiser, but is very linear and really digs deep without any sort of roll off. The low end is closer to neutral (but not neutral), well balanced with the midrange and never draws absolute attention (you can take that as a positive). Sub-bass extension is fantastic as one would expect from a $2000 headphone but sub-bass has a softer character, it’s not as impactful as the closed B&W P9 for example. This is likely due to the open back design, and while plenty of closed headphones do have this same kind of diffuse bass response, similarly priced models such as the Fostex TH-900 do tend to sound more bottomless and full if at the expense of the unrelenting texture and resolution of the HD800S. To put it simply, the sub-bass on the HD800S sounds like a good set of 2.0 speakers but lacks the outright slam of a well integrated 2.1 system. This does allow the listener to focus on the mid and upper bass frequencies and thankfully, these responses are impeccable in every regard. Bass response has immense amounts of texture and resolution. In addition, due to the exceptional soundstage, complex passages are reproduced with ease and refinement; the HD800S oozes that character of effortlessness that is often only glimpsed by lower end gear. Of course, sub-bass and bass overall are exceptional, but I do have to be a lot more critical when judging high budget flagship products. For my preferences, that little extra punchiness is spot on and bass can generate huge authority and rumble when called for in the track but similarly get out of the way during calmer passages. One aspect of the ie800 that has always impressed me is the lower midrange; it’s so delicately balanced between being full-bodied and clear, there’s a quality to male vocals that I rarely hear from other gear. That being said, I’ve always found the lower midrange on the ie800’s to be slightly recessed. The HD800S take that same quality and balance but also brings male vocals just a little more forward in the mix, perfect! The upper midrange tells a similar story. Female vocals have wonderful presence and clarity without becoming overbearing, there’s no sibilance but distortion from low bitrate files is quite prevalent. When fed with high-bitrate and lossless files however, the sound really is sublime. 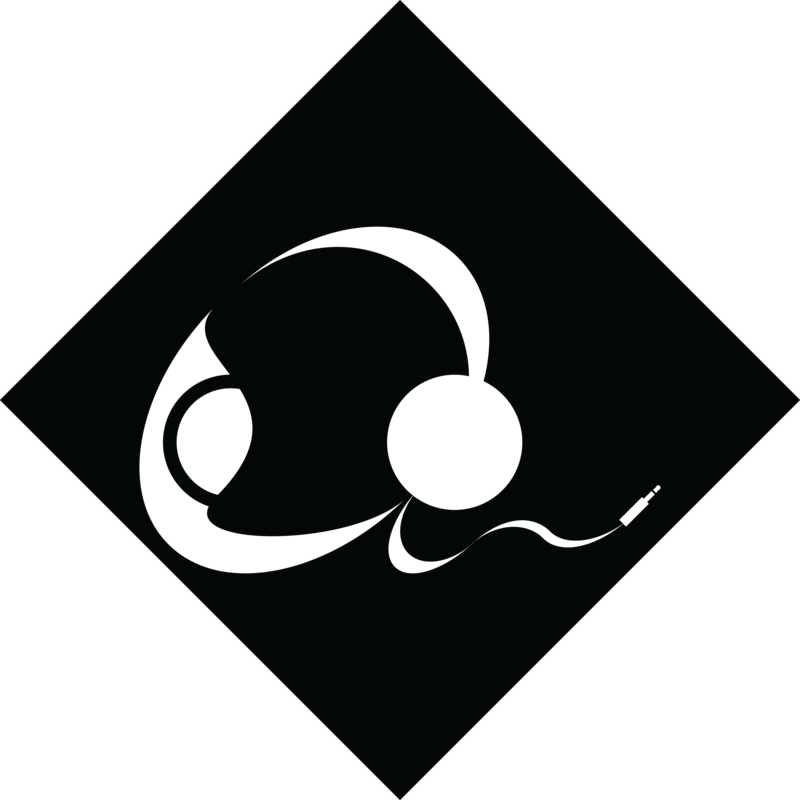 Clarity is boosted slightly, not to ie800 levels, but enough to dispel the veil in poorly mastered/older recordings without further hardening the brighter mastering techniques of more modern music. The HD800S really works with any genre of music, providing insight into the smallest nuances through immense separation and agility. Detailing is fantastic and micro-details are brought forward if not quite to the extent of the brighter high-end Grado headphones. Movies and games are both ideal as well due to the sheer resolving power of these headphones. Again, the enormous soundstage really does grand action scenes justice whilst slightly accentuated clarity illuminates quiet dialogue. So while the HD800S has the same kind of contrasted sound as the ie800 (that really draws attention to the extremities of its FR), the midrange performance is equally as impressive as the bass and treble. For my preferences, I wouldn’t even call the midrange recessed but it definitely sounds a little more sculpted than the Oppo PM3 even if quality is superior. Treble is quite natural overall, it has been toned down from the original HD800 through a similar Helmholtz resonator as used in the ie800 (ironic since the ie800 has quite a pronounced treble response) which is used to absorb certain frequencies; in this application the treble spike at 6KHz. While the treble doesn’t seem as immediately resolving as the more forward ie800 (an earphone that exaggerates the detail and clarity in music like the HD800S exaggerates soundstage space), overall detail retrieval is just as impressive and presented in a more natural manner; it’s up there with the best in terms of resolution. While I’m sure many will prefer the treble response on the ie800 and original HD800, the HD800S doesn’t exhibit that splashy character that affected the ie800 and, while still ever so slightly on the thinner side, treble remains far more consistent; it just takes a few hours of adjustment coming from brighter headphones/earphones and vice versa for darker gear. Quality is impeccable as expected, cymbals are incredibly textured and shimmer without raspiness. The refinement of the HD800S’ treble response was particularly apparent to me when listening to Radiohead’s Paranoid Android, a song that is particularly revealing of a harsh or raspy treble response. The HD800S reproduced the various synthesised effects and atmospheric tone with great composition. Listening to Frank Sinatra’s Fly Me to the Moon revealed similar findings. The HD800S did an exceptional job taming the honkiness of the trumpets and sibilance in the vocals whilst providing a truly toe-tapping sense of rhythm. Higher strings are similarly flattered, they are not overly forward in the mix and have a pleasing timbre and sense of dynamics; the HD800S is therefore a perfect companion for classical. The HD800S also does exceptionally well with higher volume listening, they are surprisingly unfatiguing despite their resolving nature and just as their comfort permits lengthy listening sessions, their marvellous sound is sure to prolong them. Soundstage is without a doubt the strongest aspect of the HD800’s sound; it’s the largest, most separated sounding headphones that I have ever heard. The Fostex TH-900 used to hold that crown for me, but the HD800 takes soundstage space to the next level. Another headphone with a standout soundstage around this price (that I’ve heard) includes the Bowers and Wilkins P9, but being closed back, it also doesn’t quite reach the scale of the sound produced by the HD800. In addition to having exceptional space, the soundstage is also very well rounded between width and depth making imaging razor sharp. Whereas with most headphones I feel that they detract more or less from the space already within the recordings of songs and especially live performances, the HD800’s are spacious to the point that they almost sound exaggerated. Studio recordings have the same amount of space as live recordings do on lesser gear and live performances are simply spectacular. Listening to a live recording of Queen’s Bohemian Rhapsody and the amount of space portrayed was almost akin to being right there in the crowd. While I had a hard time believing those comments on the internet comparing the HD800 to listening to a good set of bookshelf or home theatre speakers, in usage, the headphones exaggerated imaging and soundstage performance does these exaggerated comments justice. And I think the soundstage rounds the exceptional tonality off perfectly, this is their raison d’etre in the fierce market of established headphones utilising physically superior drivers and psychoacoustics. It’s easy to see why so many like the HD800S so much; they are impeccably engineered and transparent but also remain natural and inviting. Don’t get me wrong, I’m not saying the HD800S is the ultimate headphone, Sennheiser themselves make the Orpheus, an even more extravagant headphone at an equally unobtainable price tag of $50,000. But the HD800S is honestly the most resolving headphone I’ve ever experienced and happens to be very comfortable to boot, something I prioritise very highly; so many high-end headphones are simply unlivable and this physical discomfort detracts from the listening experience. I’m not sure if I’ve mentioned this in another review, but I believe that the hallmark of a great headphone is its soundstage. Any headphone can nail tonality, reproduce sound in great quality and look good doing it, the Oppo PM3 is a great example and it only costs $400 (comments on price are relative!). But ultimately, the soundstage is what puts the listener in the music, what immerses you in the performance. The HD800S nails all of these aspects and has a soundstage that is truly ethereal. Yes, I would like a fraction more sub-bass slam (likely would improve if I had a proper desktop amplifier) and maybe a tad more treble sparkle too. But at the end of the day, as human beings, we seek to be moved; moved by sound, by motion, by music and the HD800S provides a truly involving experience that puts the listener right in the audience. If that isn’t the ultimate happiness of an audiophile, I’m not sure what is. The HD800S from Sennheiser provides a resolving, engaging and immersive audio experience in a comfortable and practical form factor. Accessories – 7/10, Great quality cables with fantastic strain-relief and connectors. Packaging is truly an experience, understandably, the headphones were not designed for transit so few accessories are included. Would have like a 1.8M cable for desktop usage as the 3M cable can become cumbersome. Design – 9.5/10, Very aesthetically pleasing design, perfect build quality. No creeks, squeaks or feelings of hollowness despite light-weight. Adjustment mechanisms are perfectly weighted, the headband has very consistent pressure. Very breathable micro-fibre ear pads, wide, well-shaped headband. Extremely comfortable. Cables use proprietary connectors but are of great quality. Bass – 9.75/10, Very extended, softer, more diffuse sub-bass tone. Nice rumble and texture down low, outstanding resolution and definition to the mid and upper bass responses. Slightly punchier than neutral but otherwise very well judged. Mids – 9.75/10, Geat clarity, amazing detail and nice presence, does not sound recessed but in harmony with the rest of the spectrum. Male vocals very rarely sound recessed. Treble – 9.75/10, For my preferences, the treble performance is essentially perfect. Resolution is spectacular, texturing and body is spot on. Harshness and sibilance are delicately avoided but intricacies are still brought to the fore. Soundstage, Imaging and Separation – 10/10, I can’t imagine having more soundstage space, the HD800S is not even limited by the space recorded in the media you are listening to. Very well rounded, almost perfect imaging and class-leading separation. Although perfection does not exist (it is an inherently subjective term), I am not afraid to give the HD800S a perfect 10. Overall – 10/10, Another perfect score of 10! I’ve only given one before and that was to the Envaya Mini. While one can comment on limited practicality and value, I would levy that at this price, such things are inconsequential. The HD800S is a statement product much like the Orpheus above it. It’s a headphone that employs cutting edge design and material through a culmination of engineering perfection and passion. At $2500 Sennheiser better deliver and fortunately, they do, very much so. The design is flawless and actualized through perfect manufacturing. Comfort is impeccable but the cable does get cumbersome at times. Sound is phenomenal, they do justify their lofty price tag with a clear advantage over $1500 headphones such as the B&W P9’s and Oppo PM1’s. Honestly, I do love the TH-900 from Fostex and the P9 from Bowers and Wilkins, but if I had to live with one headphone, the HD800S takes the cake. The HD800S turns sounds into music through character and resolution and provide the most uncompromised listening experience of all the headphones I’ve tested. For that, I feel some subjectivity and a score of 10 is warranted. Lovely review! It was a pleasure reading this. Would love to read your read your reviews on new DAPs, HD700.. Thanks! I’m really busy with upcoming reviews, I will be reviewing a whole bunch of DAPs from Hidizs and Shozy in addition to the HD700 soon. Beautiful review! I pretty much agree with everything you said except I don’t want more treble. To my ears, they’re the best headphones I’ve heard and are on par or even better than some that cost 2 to 3 times as much.